The South Carolina House of Representatives doubled down on censorship yesterday, refusing to erase budget cuts that seek to punish two public colleges for assigning books that deal with LGBT issues. Democratic Reps. James Smith and Gilda Cobb-Hunter attempted to restore the funding to the College of Charleston and the University of South Carolina-Upstate, but their amendments were voted down “overwhelmingly” by their colleagues, according to the Charleston Post and Courier. Last month, Republican Rep. Garry Smith inserted the cuts totaling $69,142 in order to express his displeasure with books selected as “community reads” at the two schools. 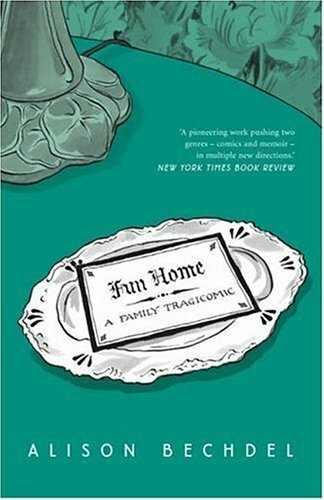 CofC chose Alison Bechdel’s graphic novel Fun Home for its optional The College Reads program last summer, while USC-Upstate assigned Out Loud: The Best of Rainbow Radio for its first-year student reading program called Preface. The conservative group Palmetto Family Council began stirring the pot back in July, calling Fun Home “pornographic” and suggesting that CofC was trying to corrupt innocent youth, but the legislature’s recent involvement nevertheless came as a bit of a surprise. The College of Charleston has never required students to read the books in the College Reads program. If students were opposed to the book, they were not forced to read it. If the course they were taking required them to read the book, they had the opportunity to drop out of that class and enter another class that did not have that requirement. At no time did the College of Charleston inform students that they were required to read the College Reads book. After more House debate over other issues in the state budget, it will soon move on to the Senate where it could again be amended to restore the reading program funds. Watch this space for more updates!